Home / Fanboy News From Around The World / Fanboy News! Chiller Evacuated For Bomb Scare! Harrison Ford Send In Signing! The True Story Behind Melissa McCarthy’s New Film! And More! Fanboy News! Chiller Evacuated For Bomb Scare! Harrison Ford Send In Signing! The True Story Behind Melissa McCarthy’s New Film! And More! Some crazy things this week! Chiller evacuated for a bit due to a bomb scare, Harrison Ford send in signing and more. Around 3:30 p.m. 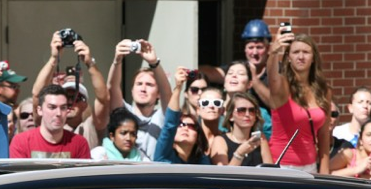 ET, the entire building was emptied, with everyone instructed to remain at least 100′ away from the hotel. Police vehicles, what witnesses described as “bomb trucks,” and ambulances responded to the chaotic scene. The biggest Walker Stalker event of the year is going on right now in Atlanta. On Friday, excited attendees began filling the Georgia World Congress Center, but one couldn’t help but feel a sense of heartbreak walking through the main con floor. 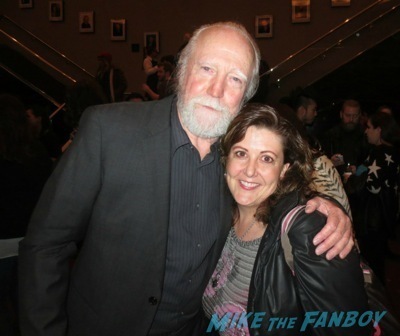 Atlanta is the first Walker Stalker event since the passing of the beloved Walking Dead star and legendary actor Scott Wilson, and his presence is, without a doubt, extremely missed. Noel Gallagher’s fans have asked him to sleep with their wives.The ‘Don’t Look Back in Anger’ hitmaker – who is married to Sara McDonald – has revealed the unusual request a number of fans has asked of him. Broncos outside linebacker Von Miller wears autographed hats on the sideline during NFL games, leaving many fans to wonder who he had sign his headwear.It turns out Miller signs his own hats.“This is mine,” Miller explained after practice Thursday. “It’s really from the game. We all have got the same hats on the sideline and I like to wear my hat all game, so I just autographed it. The opportunity to add the legend Harrison Ford to your personal items is almost upon us. 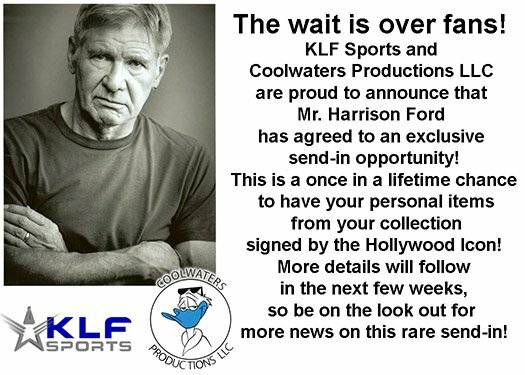 A day that many said would never happen will soon be a day long remembered as the first Harrison Ford autograph send-in is coming soon. Tom Hanks continued his portrayal of beloved television personality Mr. Rogers while filming You Are My Friend on Thursday.The actor was pictured in character, wearing a smart black trench coat, leather shoes, red tie, and glasses. Melissa McCarthy’s new film, Can You Ever Forgive Me? is based on the eponymous memoir by Lee Israel, a pathetic, misanthropic and alcoholic biographer who turned to crime when her failed talent as a writer morphed into a short-lived, though quite successful career as a forger and thief of literary letters. You know what’s better than parading around wearing a kickass Halloween costume? Parading around wearing a kickass Halloween costume in air conditioning. For its 16th year, thriller convention Spooky Empire is coming to life at a new host hotel, the Caribe Royal Orlando Resort, on Oct. 26 to 28. Fanboy News! One Douchebag Says If You’re Over 13 You Shouldn’t Ask For Autographs! Medal Of Honor Recipients Meet And Greet! TIFF Collecter Madness! And More! Fanboy News! Fans “Go Fishing” For Stephen Curry’s Autograph! Referee Gets Signatures! Selfie Culture Shock And More!